This episode of Falmouth in Focus features: the Falmouth DPW, the EDIC's work on renovating Falmouth's bus station, Astronaut Sunita Williams' visit to Falmouth, Freedom Rows Cape Cod, "Three Things" from town hall, an adoptable dog from Friends of Falmouth Dogs, an interview with Town Manager Julian Suso, a member feature on the Falmouth Water Stewards, Project Adventure at the High School, the award-winning local burlesque troop the Brazen Belles, and more! This episode of Falmouth in Focus features Brian Switzer's "Wave of Kindness" video in honor of No Guff Week, a new art exhibit at the Falmouth Public library, an introduction to West Falmouth's new fire engine, an update from town hall regarding downtown parking, a solar array and wind turbine issues, an adoptable cat from People for Cats, the story of a local 8th grade curler who competes at the national level, the Falmouth Boy's Hockey team partnership with Athletic Performance Training, Troy Clarkson's segment with Brian Switzer on his viral video and more, including member features. This episode of Falmouth in Focus includes stories about: Fire Chief Mark D. Sullivan's retirement, the Martin Luther King Day breakfast, a special event with the Falmouth Genealogical Society, updates from the Selectmen's meeting, the Steve Cishek Wiffle Ball Tournament, Kemp's Ridley Sea Turtles at the National Marine Life Center, Serenity Farm in East Falmouth, a day in the life of an Animal Control Officer, Troy's Take about residents hopes for the New Year and MORE! 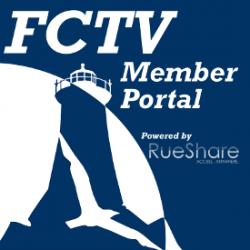 In this episode of Falmouth in Focus, we review the year 2015 with FCTV Exclusives: from beachcombing with a biologist to meeting baseball host families, harvesting cranberries to decorating Christmas trees. This episode features updates from Town Hall, a visit to the Falmouth Firefighters Homeless for the Holidays Event, a look at the "Hour of Code" event at the High School, a story about local rugby for kids, an adoptable cat from People for Cats, a local family who puts on a popular Christmas lights display, highlights from "Holidays by the Sea," Wreaths Across America at Bourne National Cemetery, and Troy's Take with the Falmouth Preservation Alliance. This episode of Falmouth in Focus features: the Falmouth Village Association's Small Business Saturday, the Falmouth Police Department's "Stuff a Cruiser," the local government roundup, the Falmouth High School Clippers' Thanksgiving Day football game, information about the Falmouth Chamber of Commerce's Holidays by the Sea, the West Falmouth Library's Winter House Tour, the Woods Hole Renaissance Fair, the Falmouth Public Library's upcoming "Community Conversations," an adoptable dog from Friends of Falmouth Dogs, a visit to Highfield Hall's Holidays at Highfield, an interview with the Falmouth Museums on the Green's effort to restore the Conant House, a member spotlight on the local "Alternative Gift Fair," a segment with Troy Clarkson on homelessness in Falmouth and more! This episode of Falmouth in Focus features: the Falmouth Veteran's Day ceremony, updates from the fall Town Meeting, harvest at a local cranberry bog, five little-known facts about Falmouth Public Library's main branch, the Falmouth Service Center's Fresh Market, Troy Clarkson's visit to the Falmouth Theatre Guild's rehearsal of "A Christmas Carol" and much more! This episode features a journey of a few miles for two million oysters with the Division of Marine and Environmental Services, interviews with members of the North Falmouth community on their effort to raise money for a new playground at the elementary school and much, much more. Falmouth in Focus is a collaborative program; share with us your footage and story ideas! In this premiere episode of Falmouth in Focus, we bring you the town's headlines, stories about the Wounded Warrior Ride. Oak Grove Cemetery, the Falmouth Education Foundation, On the Water's Striperfest, the FCTV Maser Gallery and Troy Clarkson's Take on the Carousel of Light.